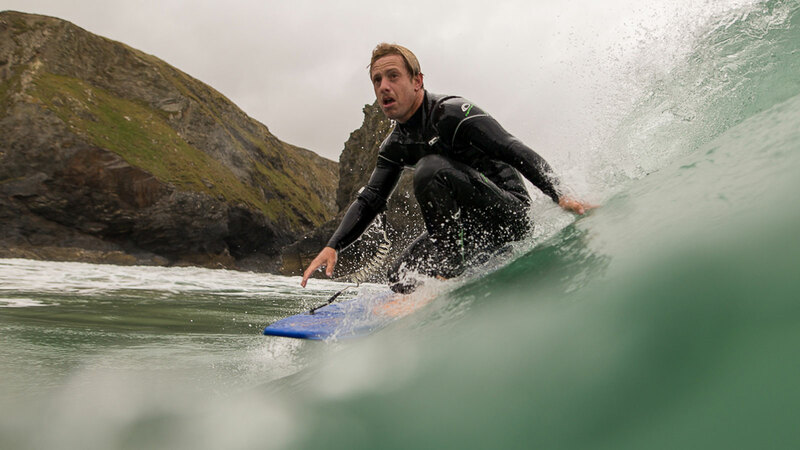 At Typhoon we have seen an increase in demand for an all-year-round wetsuit, customers are typically wearing 5mm suits throughout the summer and winter months which in turn allows for increased time in the water. With all sports apparel, wetsuit brands need to be reflective to the ever-changing consumer requirements, the introduction of new brands and innovations and to be on trend with the various methods of reaching your target market. The Typhoon wetsuit range is differentiated into thickness bands, which is then break down again to the level of innovation and technology which is reflective to the pricing. The Kona range is our top-tier wetsuit, which incorporates more advanced innovations and features including liquid neoprene seals and storm keeper zips which create a water barrier seal. The Vortex range offers a range of features including a plush thermal polypropylene liner for additional warmth and smooth skin seals to reduce rub and thus provides the enthusiast everything they require from a suit. The Storm range offers fantastic levels of comfort and performance at an affordable price. For over 70 years Typhoon has always provided superior technical excellence within the watersports industry, our current lines of Fall-Winter wetsuits have always and continue to be extremely well received by our customers, and as a result Typhoon shall be introducing new colourways into the existing lines but using the same innovative designs and technologies that make our wetsuit range so popular. For top level and thicker wetsuits, historically black has been the go-to colour, however latest trends are showing a larger requirement for different colour options, hence why we have introduced a new line of colourways for FW2019. As a brand with such a rich pedigree of neoprene production we are continually looking at the latest trends and customer requirements, going forward we foresee a trend in the incorporation of impact protection within wetsuit designs which don’t distract from ease of movement, also due to the rise of female sports and competition there will be a trend to offer a gender balance offering within sports apparel ranges.